Hi ya everyone! This is my Tiddly Inks card for the week for inspiration only. I tried a background with my Copics but didn't end up liking it too much and I added to that by stamping over it. However, I love the image called Everyday Magic. 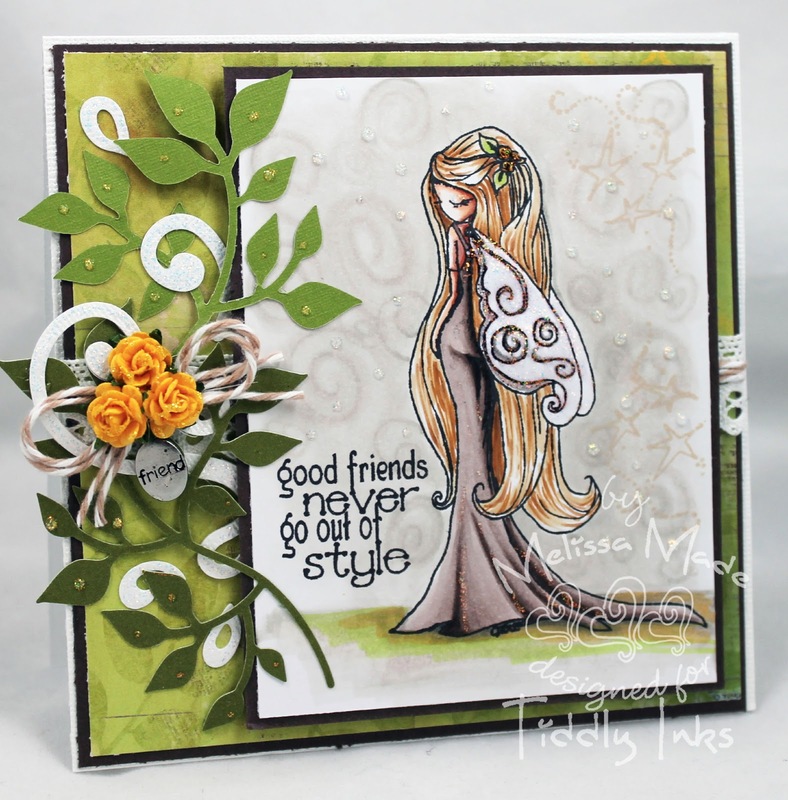 I colored her in my Copics and then added a sentiment from the Tiddly Inks stamp set called Stylish Friends. We have a few days left in our challenge at Tiddly Inks using critters. Won't you join us? Melissa, she's beautiful and so is your card! And, you're oh-so right and thank goodness friends don't go out of style! Looks fab hun.. I do like how the background turned out. Awesome as usual. Love the image. This is so gorgeous Melissa!! Melissa, this is gorgeous! I can't say enough about how much I love this!